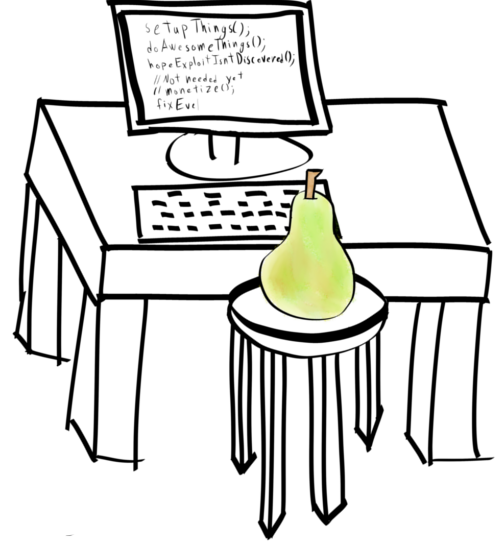 Let’s talk about pair programming. Pair programming is an Extreme Programming technique; one of the 12 practices from Kent Beck & Cynthia Andres’s Extreme Programming Explained. However, it’s older than that, having studies on it (Nick V. Flor, Edin L. Hitchins, 1991) that go back to the early 90s. Pair programming is in the most basic sense the act of two or more people sharing a computer, writing some code at the same time. It creates close relationships with other developers, helps pairing developers learn, and creates feelings of shared ownership within a team. These social bonds allow a team to trust each other and operate to the best of their ability. It also produces code with about 15% fewer bugs (Laurie Williams, 2000) in it. For me, however, this is the least of its qualities.